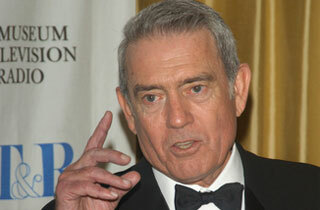 Dan Rather, the CBS anchor who was forced to resign after he reported on a fake document, said today that he supported Brian Williams after the NBC anchor was accused of falsely claiming he’d been attacked by an RPG in Iraq. Rather is no stranger to such controversy: in 2004, he erroneously reported that George W. Bush had flaked out of his duties to the Air National Guard in 1973, and stood by the story even after critics complained that the documents appeared to be falsified. After two weeks, Rather was forced to retract and apologize for the story, and retired the next year. Williams, on the other hand, is currently being analyzed from all angles of the media after his admission that he had not, as he and NBC had claimed for many years, been on an helicopter downed by an RPG in Iraq. In a letter published yesterday by Stars and Stripes, Williams claimed that he misremembered the incident. ” I think the constant viewing of the video showing us inspecting the impact area — and the fog of memory over 12 years — made me conflate the two, and I apologize,” he wrote.